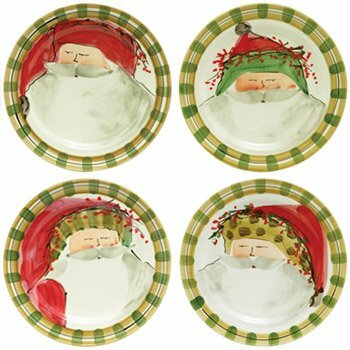 The four Plates feature Old St. Nick in his different holiday outfits. Made of Terra Bianca and hand painted in Tuscany. If you have any questions about this product by VIETRI, contact us by completing and submitting the form below. If you are looking for a specif part number, please include it with your message.